ESD rubber mat manufactured from black rubber. 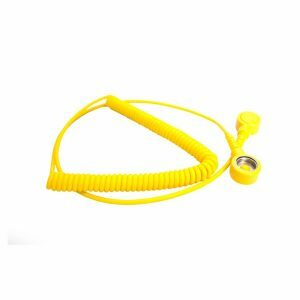 Supplied with one stud 10mm diameter. 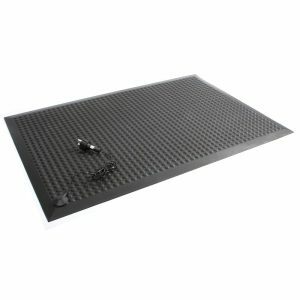 Easy to clean ESD rubber mat, designed for use on the floor. Our ESD rubber mat has been designed for use on the floor to help protect sensitive components and human operatives. 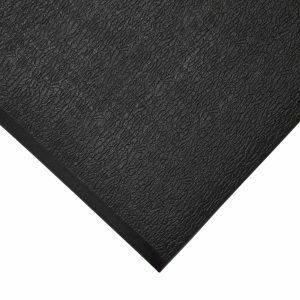 This mat is available in black, supplied with one 10mm stud, and also conforms to IEC 61340-4-1 for protection of electrostatic sensitive devices. Other features also include slip resistance and high wear rating. When choosing an ESD rubber mat it is important to consider your specific requirements and to ensure you have all of the necessary accessories correctly installed. Many environments can be affected by ESD, this can include the floors and workbenches requiring protection. 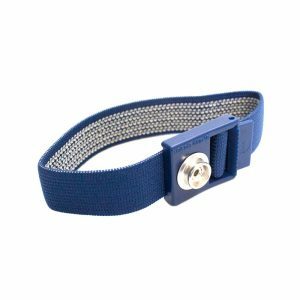 See our full range of ESD Matting & Accessories.